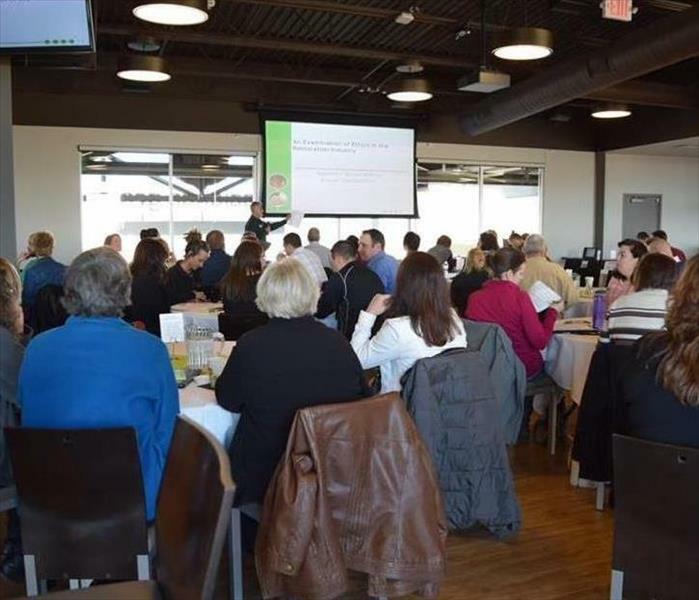 We were proud to once again host 2 Continuing Education Classes for Insurance Professionals at The Fox Club inside Fox Cities Stadium, home of the Wisconsin Timber Rattlers. This year's classes were on Ethics & Biohazard Cleanup. On Friday, July 28th, the Terror Backer Booster Club for Appleton West High School, hosted their 20th Annual Terror Backer Golf Outing at Westridge Golf Club in Neenah. 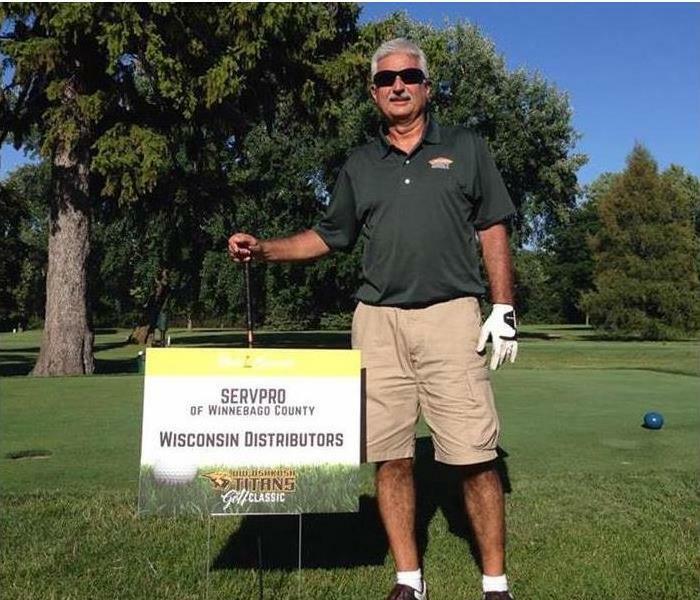 SERVPRO of Appleton was proud to sponsor a hole at this great event and send our very own Joe Leadley as a participant. Our own Joe Leadley also works as an assistant football coach at the University of Wisconsin Oshkosh. 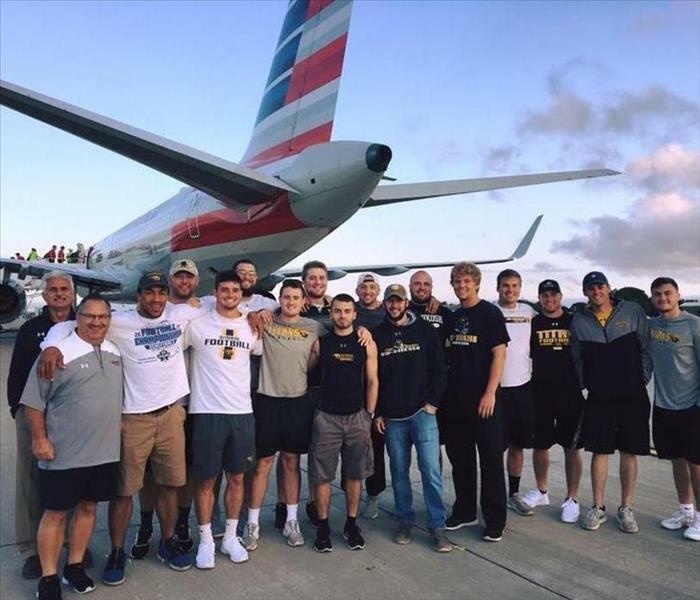 On July 27, 2018, Joe and the rest of the University of Wisconsin Oshkosh football coaching staff and student-athletes assisted Vietnam-era war veterans onto the Yellow Ribbon Honor Flight to Washington, D.C. from the Experimental Aircraft Association (EAA) AirVenture and again when they returned to Whitman Regional Airport later that evening. Approximately 100 veterans from the region took the day-long tour of D.C. memorials before returning to Oshkosh. 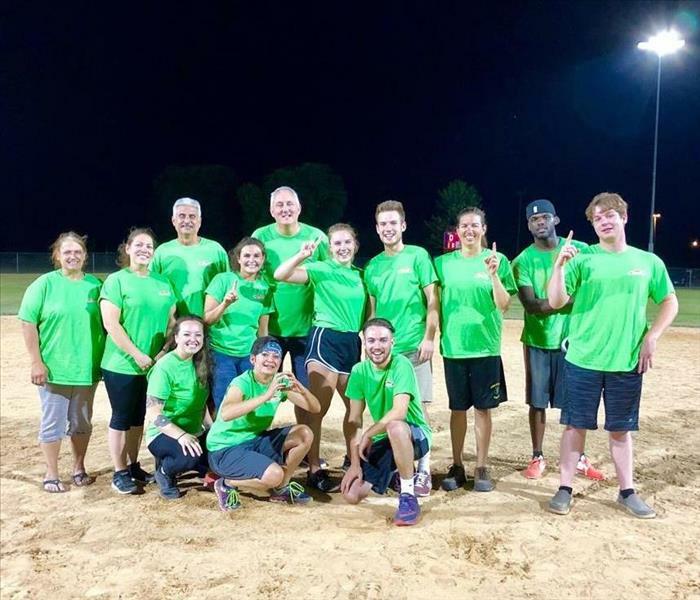 SERVPRO has a team competing this summer in a company kickball league. It's a great way for our crew to bond and get involved in the community. We may not always win, but we always have a good time. 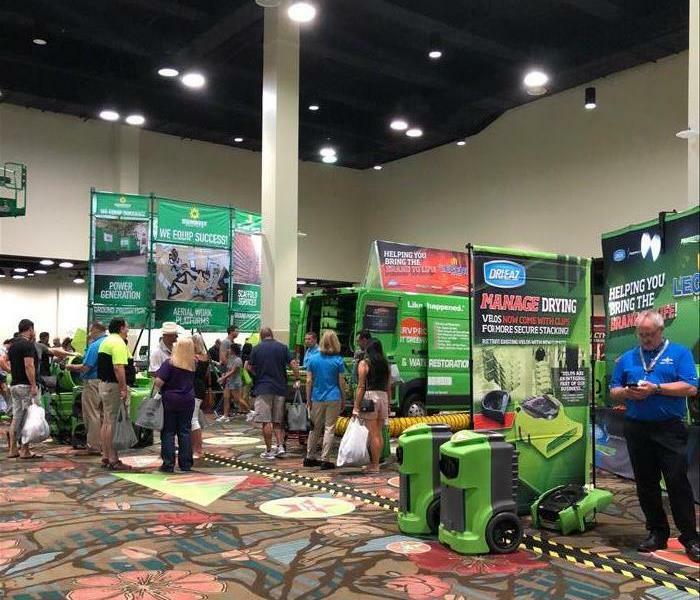 SERVPRO Corporate hosted their 49th Annual Convention & Trade Show at Walt Disney World's Dolphin Resort in Orlando, Florida the last week of June. 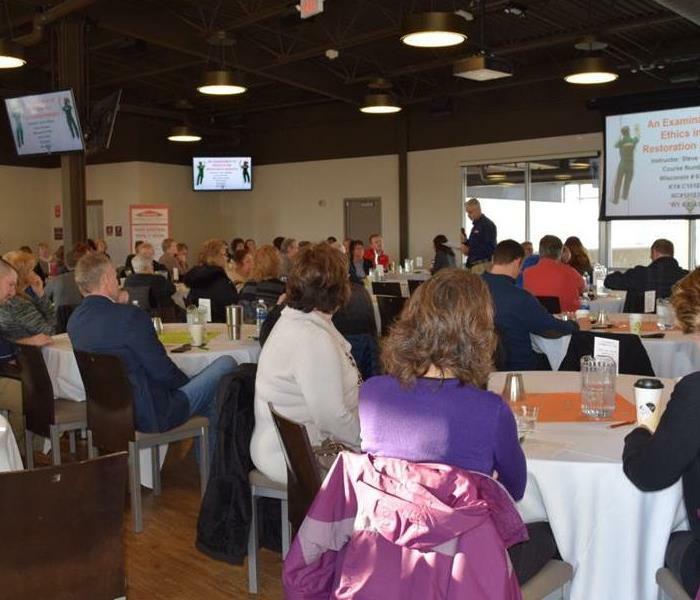 As always, SERVPRO of Appleton owners were in attendance to hear about the latest in our industry. 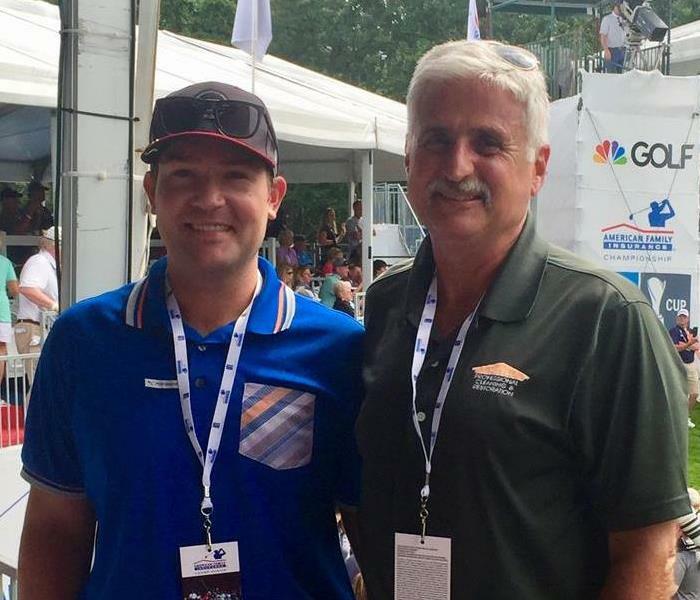 On Saturday, June 23, 2018, our own Brent Smeaton & Joe Leadley attended the American Family Golf Championship at the University Ridge Golf Course in Madison, WI. 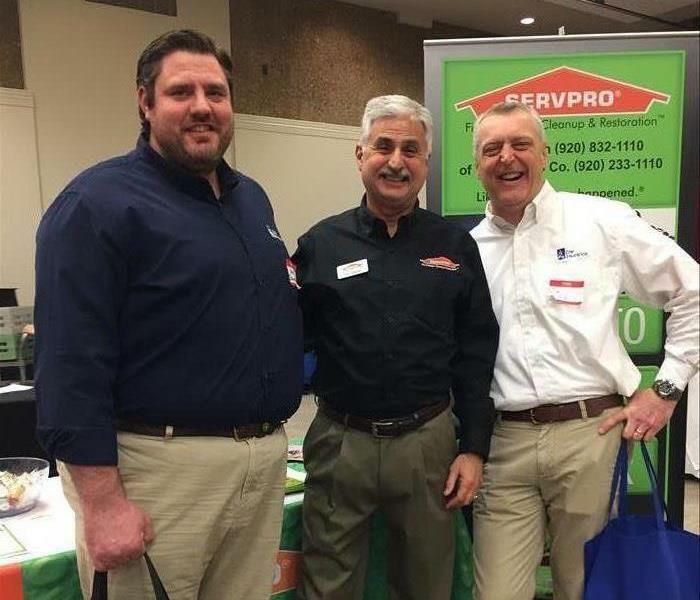 SERVPRO was a corporate sponsor of the event, and is proud to be a preferred provider for American Family Insurance. 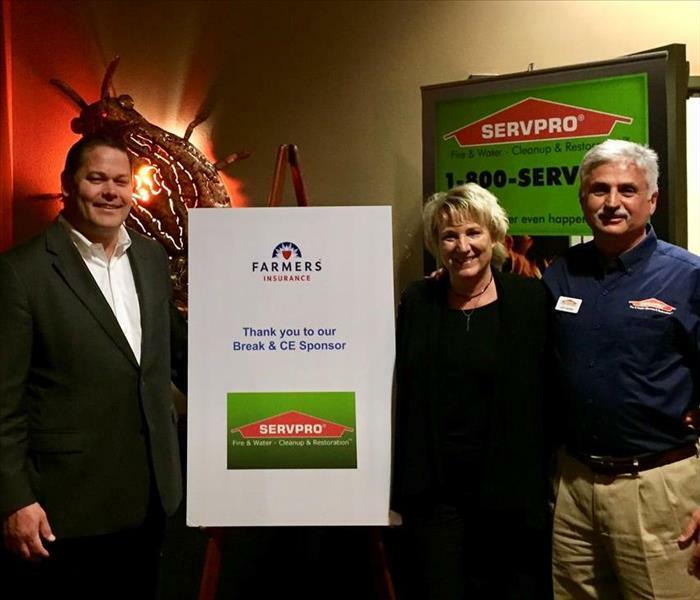 Pictured are SERVPRO Industries Continuing Education Instructor, Steve DeBlois & our very own Joe Leadley, with Appleton area Farmer's Insurance Agent, Marcia Selle, at the Farmer's Agent Convention in the Wisconsin Dells in April of 2018. Steve enjoyed hosting a 3 hour continuing education course on ethics at the convention. 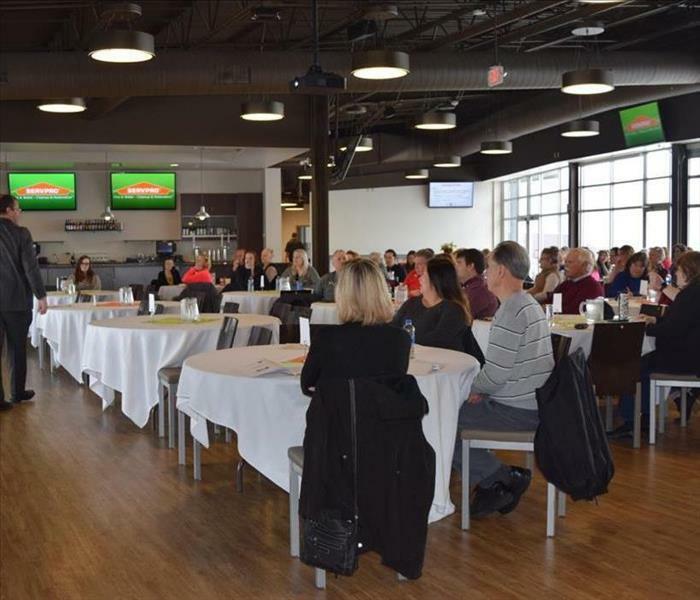 SERVPRO of Appleton is proud to be a preferred provider for Farmer's Insurance. On Friday, July 22, 2017, the University of Oshkosh Athletic Department hosted a Golf Outing Fundraiser. 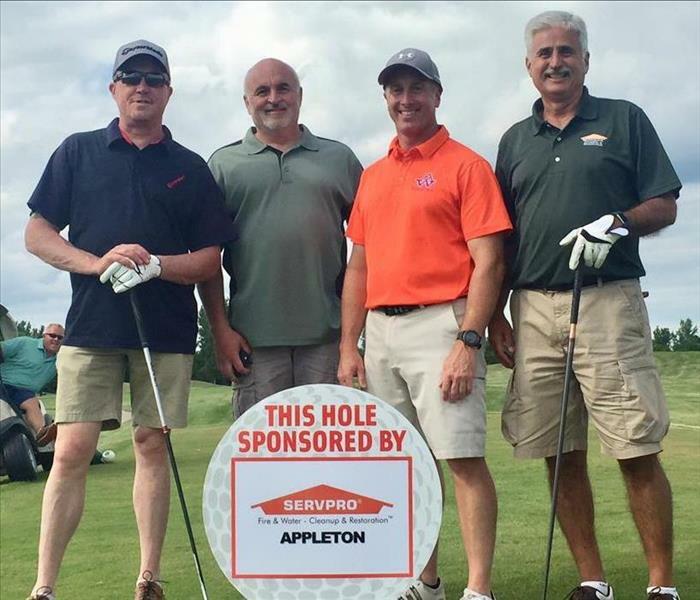 SERVPRO of Appleton was proud to sponsor a hole at this great event. Pictured is our own Joe Leadley who is also an Assistant Football for the University. SERVPRO of Appleton's own Joe Leadley, stopped by State Farm Insurance Agent Erik Hosking's booth, at the Appleton Car Show on Sunday, July 16, 2017. 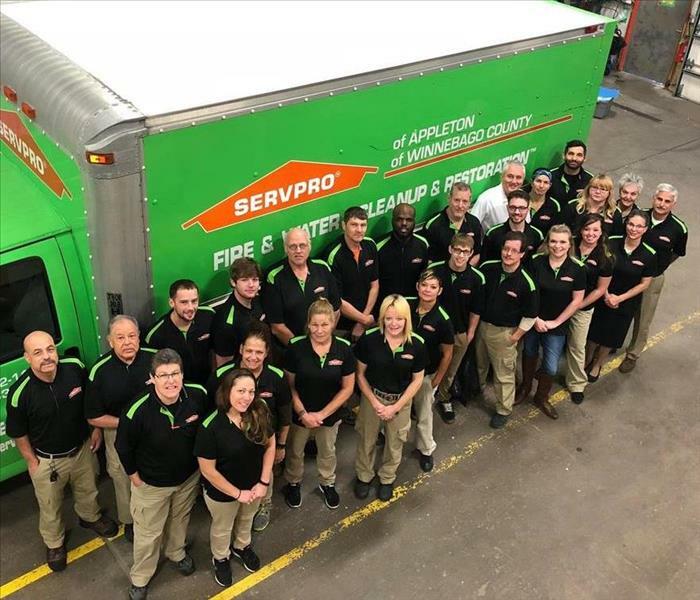 SERVPRO is proud to support members of our community. During the last week of June 2017, our ownership attended the 48th Annual SERVPRO Convention in Seattle, Washington. We are always looking to stay on top of the latest in the industry of fire & water restoration and cleanup, in order to serve our customers better.